"Work It Out" is a refreshing upbeat tune that all of us can relate to. Have you ever had a friendship or relationship that experienced a season of frustration or adversity? Well, if it's a relationship worth having, then it is worth fighting for. "Work It Out" is intended to encourage people to fight for their relationships regardless of how difficult it may seem. The relationships that we have in our lives are the greatest form of wealth and it's important that we learn to dig deep, push through and fight for the ones we love the most. As an Artist, Erica Mason has seen people come and go in her life. Erica has had experience with liars and backstabbers, but she has also had her life filled with people who love her unconditionally. 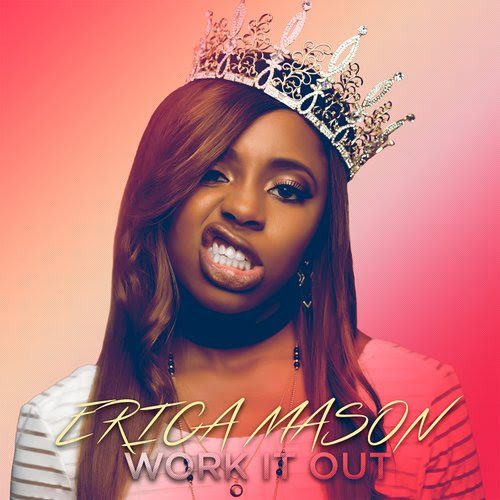 Erica targets the lifelong relationships that she is invested in with this catchy tune. Regardless of the role that people play, every relationship in your life will be tested, but it's important that we "Work It Out" with the ones who truly have our best interest at heart. Purchase "Work It Out" via iTunes or Google Play.